A desk or a bureau is a kind of furniture that is usually used in official work. So a desk is apparently associated with some serious work. This work might be official or any other work of importance. So this fact makes it mandatory for a desk to be designed and made accordingly. This can not be a mere straight table or stool. It has different portions and racks. 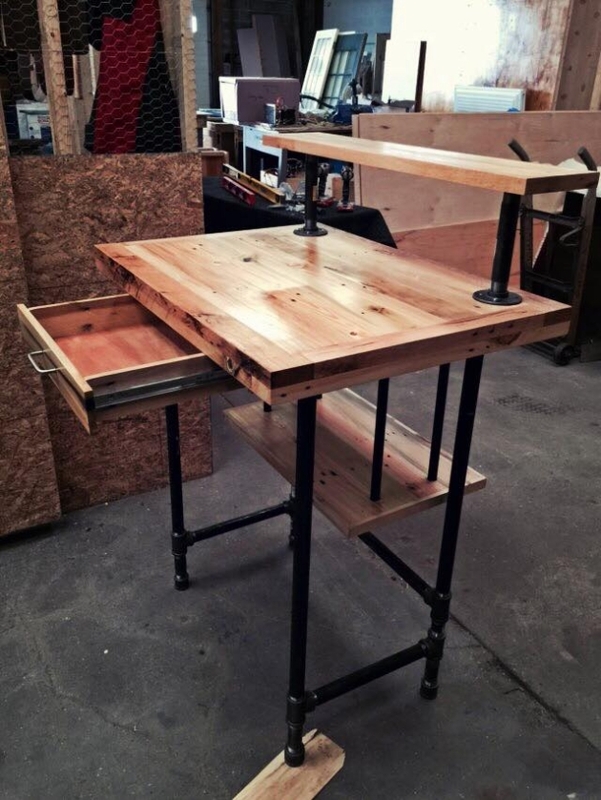 So let’s make a typical wood pallet desk. This reclaimed desk must have all the features which would suit an organizational atmosphere. So we are going to give it all due specifications to make it completely appropriate. 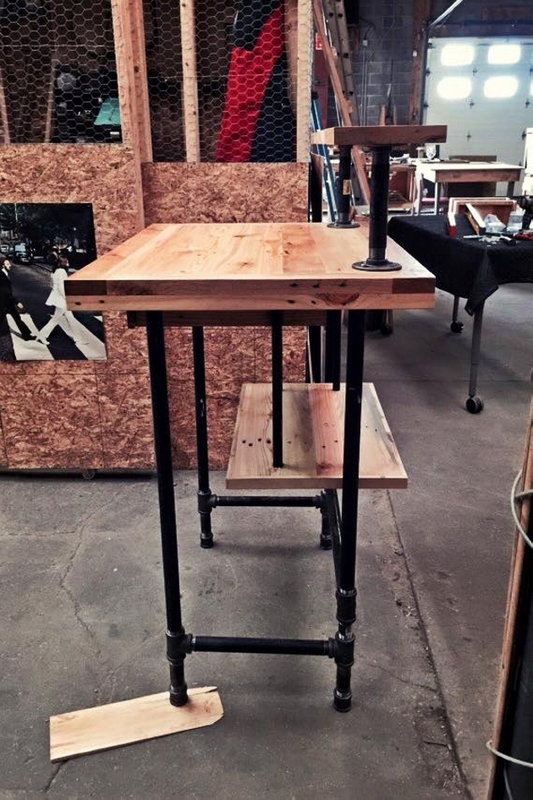 This reclaimed wood pallet desk needs to be given an industrial look keeping in view the atmosphere. So the iron pipes are a best material to be added in this reclaimed wood pallet desk. In order to make it industrial and also low in weight, we have decided to use the iron pipe in its legs and to connect every other portion of the reclaimed desk. Not only it would make it look pretty professional, but would also be economical as old iron pipes can easily be arranged without spending huge finances. Here is the reclaimed wood pallet desk that is recycled using pallet planks along with the used iron pipes. We see a main top table, and a smaller one above this basic table. There is also an additional wooden sheet below that is connected with the same used iron pipes. We can also see an additional drawer which is best to place the stationary or other basic stuff of an office. 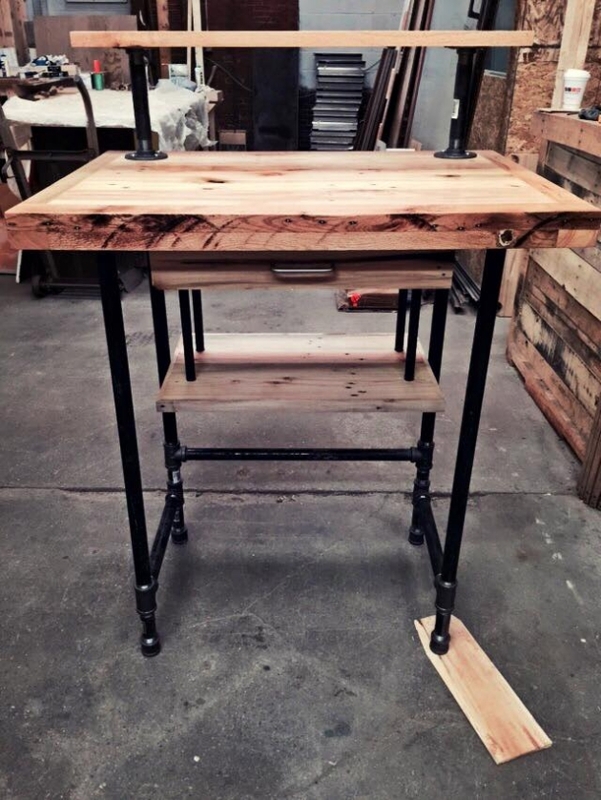 Skill, innovation, art, and best of recycling could be observed in this smartly designed reclaimed pallet desk. I would love to have this in my office, it is very well equipped with all the necessities of a professional desk.